Hello friends, I hope you all are doing great. In today’s tutorial, I am going to give you a detailed overview of Controllers in ASP.NET MVC. It’s the fourth article in ASP Web App Series. In our Previous tutorial, we have had a look at Views in ASP.NET MVC and in that tutorial, we have mentioned this Controller a lot and today we are gonna discuss it in detail. 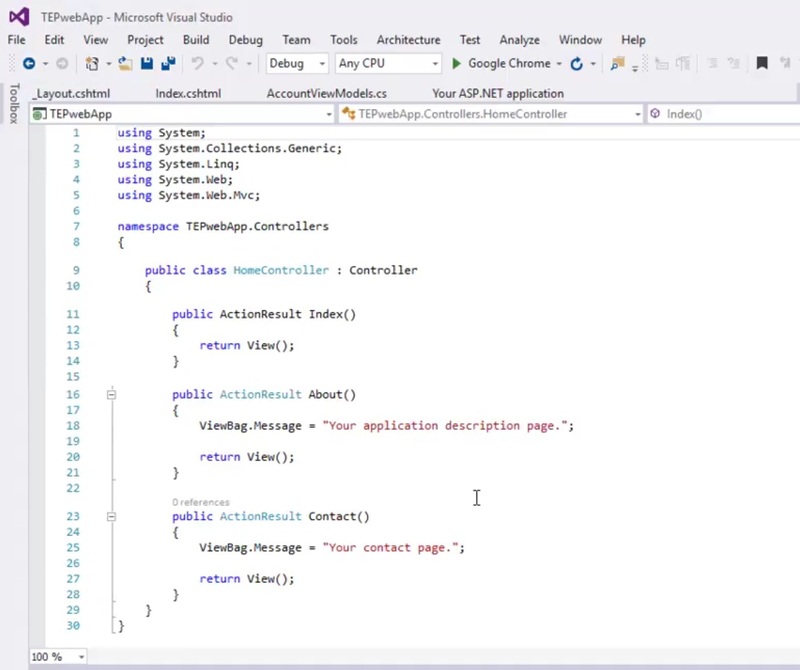 Controller is the back bone of any ASP.NET MVC Web App as it acts as a messenger between different entities. When use hit your website address in the browser then browser generates an HTTP request, which is received by the server and in ASP case it comes to Controller. 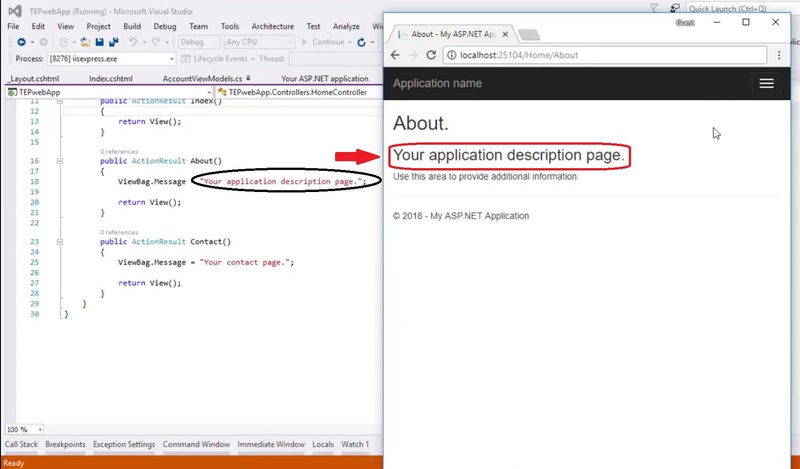 Controller in ASP.NET handles the coming HTTP request and then selects the respective Model in ASP.NET MVC and then gets data from the SQL Database, if required. Along with this data from Model, it forwards the command to respective View, which in turn opens up in front of the user. So, you must have got the importance of Controllers as they are kind of doing the management work, getting and assigning commands & data. 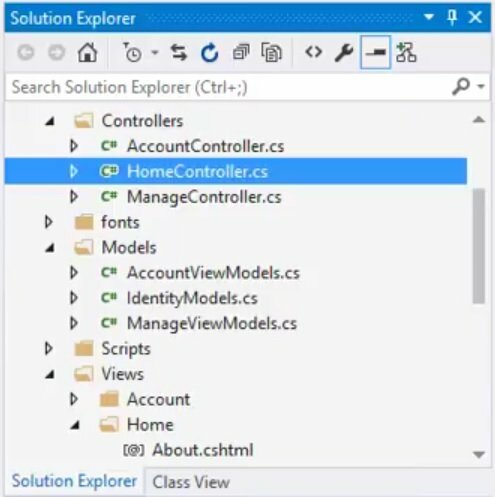 Controllers are inherited from System.Web.Mvc.Controller and are simple C# classes. In the above code, we have used a method named ActionResult, which will send the data to View. After the name of method, the name of each page is placed present in the Views > Home folder. If you open the About View file, then you will see this string variable is placed there, that’s why we have it on screen. We can create unlimited controllers and can use them for different purposes.